I completed my first DIY 2012 project! 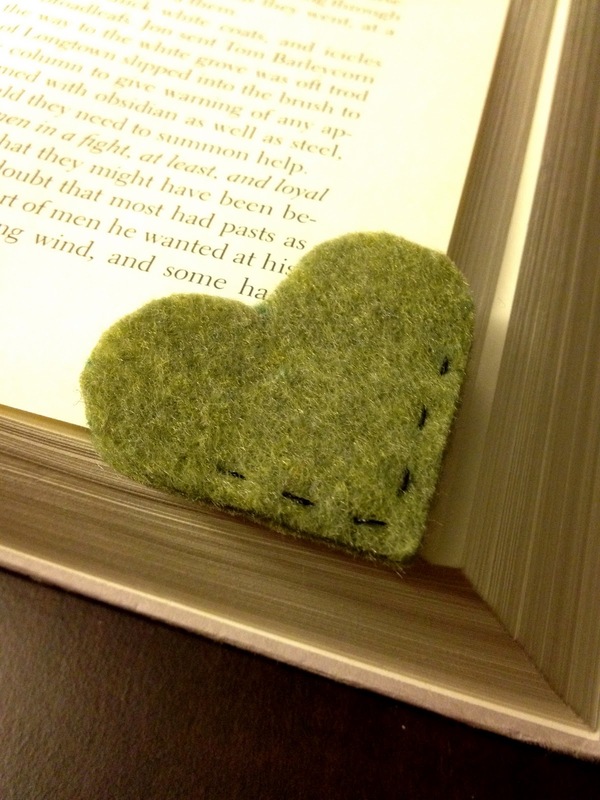 This little felt corner bookmark was simple to make, and was a good way to start my monthly arts and crafts projects. It took me 10 minutes (including chatting with my crafting pal Chante) of cutting and stitching. Now, this little bookmark sits cozily on a page of A Dance With Dragons by George R. R. Martin, breaking my terrible habit of bending page corners.